"For example, if the current applied voltage is 1.200 V and the +200 mV switch is changed to the ON position, the output voltage will immediately become 1.300 V."
And don't understand why there is 6 channel for hotwire ? even if you said to use 1 and 4, why 4 channel ? Looking forward to see the results! All is still experimental so you're bound to find some bugs and instruction typos, that's what you guys are here to help with. 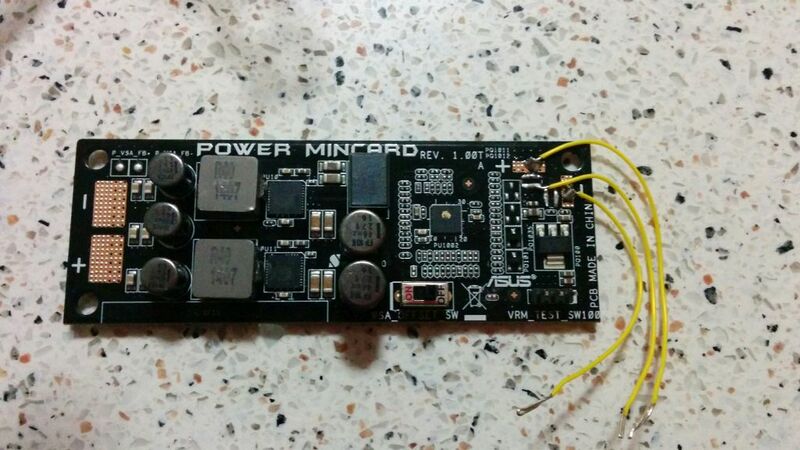 The remote sense inputs are for displaying a more accurate output voltage on the power card. 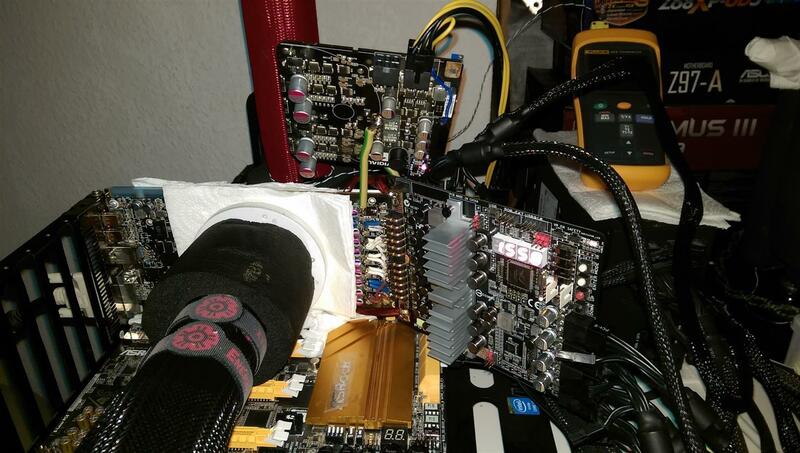 By default the output voltage is measured at the designated contact points at the front of the card, but because of the high current flowing through the wires to the GPU the actual input voltage will be difference because of droop during load. 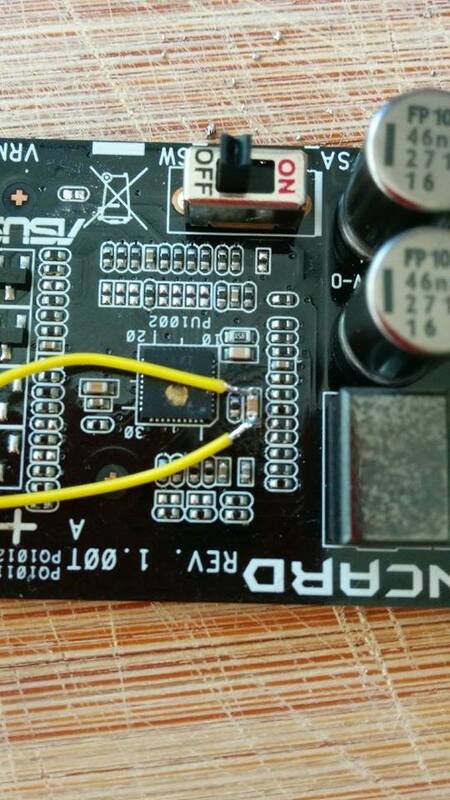 The most accurate reading will be from the decoupling capacitors (MLCC) at the back of the GPU, so just solder a wire from the positive remote sense input to the positive (GPU Voltage) side of the capacitor and the negative input to the negative side (Ground). If there's a voltage on this input it will automatically be used for reporting rather than the on-board sense. The Hotwire connectors (six in total, three at the top and three at the bottom) are supposed to help you adjust the voltage of auxillary VRMs (think on-board memory and PLL). 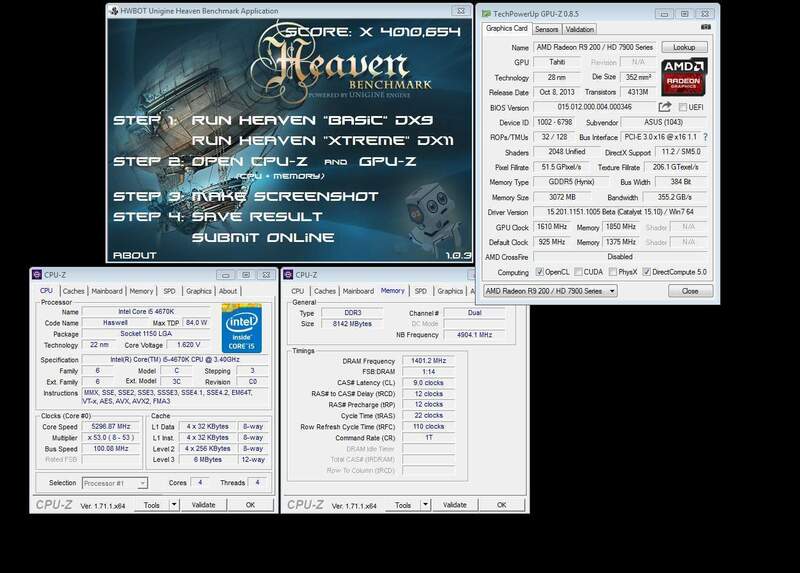 Hotwire channels 1 & 4 come with increased ranges and each step causes a bigger change, typically suited for a GPU VRM or similar. In the end which channel will fit best depends on the specific VRM design and the resistor values used in its feedback loop. One step could be just a few millivolts on one design and several hundreds on another. I'd say you should try with channel 2,3,5 or 6 first and if the change is too small switch to channel 1 or 4. I'll update the instructions with more clear information. 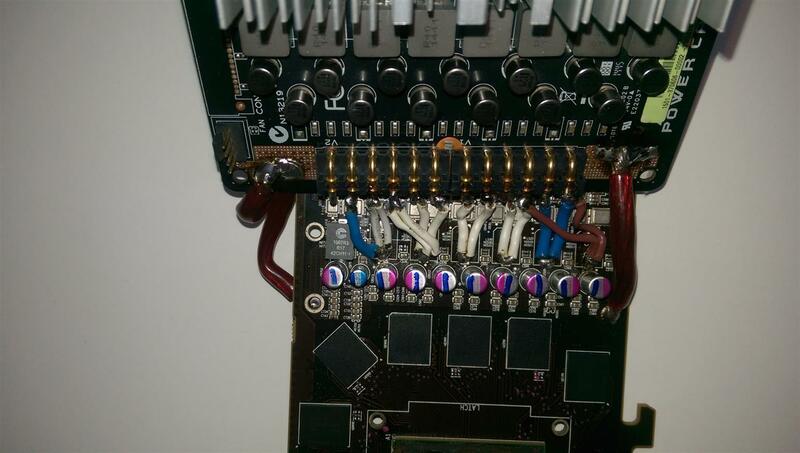 Now i understand that i solder the left most side over the chokes im replacing like an epower mod, but is the right most side where i input power from psu? 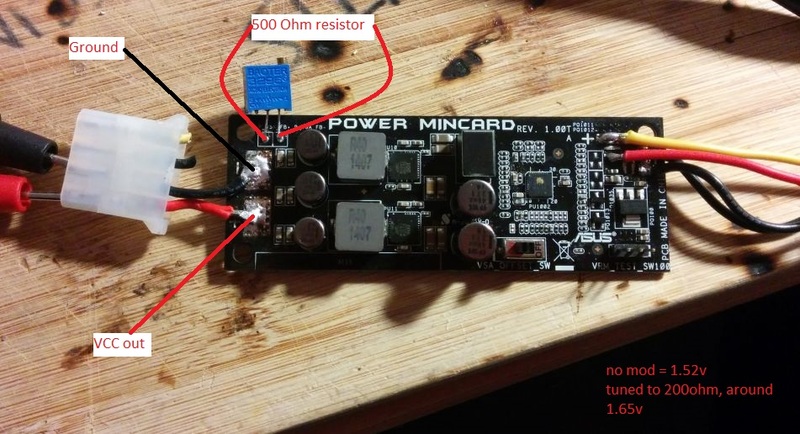 Is it best just to solder on a fan connector like this one? That's correct. You need to supply +12V and +5V from the PSU in some way, easiest to use a standard Molex or floppy connector (in the picture you supplied). Easy peasy. Will do. Thanks. 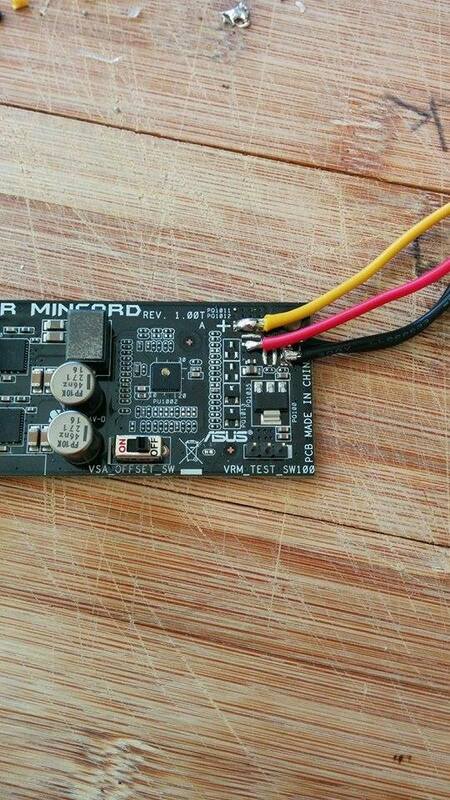 I cant seem to get a reading on the points noted for the VR points noted on the picture from TL, do I need to power on the card to get a reading (so I know what size VR to solder on) or can someone tell me what I need? I completely understand and I totally appreciate you sharing it with us. Just sometimes it's frustrating just starting out and you see all these amazing devices and they are very hard to get a hold of especially as a beginner. It's still awesome to see though. Thanks for sharing. E-Power is still retail, OOS now but was in stock last month when I checked. 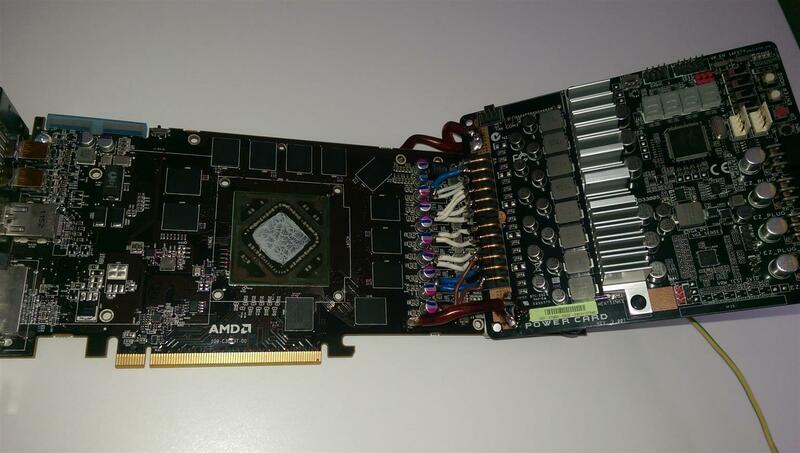 Don't be so sure Good option is to just cut a high end graphics card vrm and use that, make a "zombie". Once I verifed that I was an idiot at soldering, I'd like to thank Elmor and Der8auer for hooking me up with the control for this. Using this for GPU memory? its reading an output voltage but after about a minute in windows crashes and drops to 0v. not sure why yet. 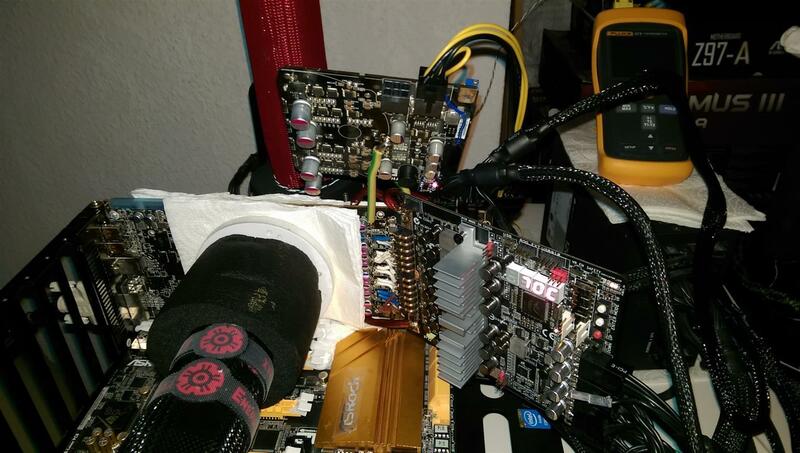 HD7970 reference and APower on phase change cooling..made by me! 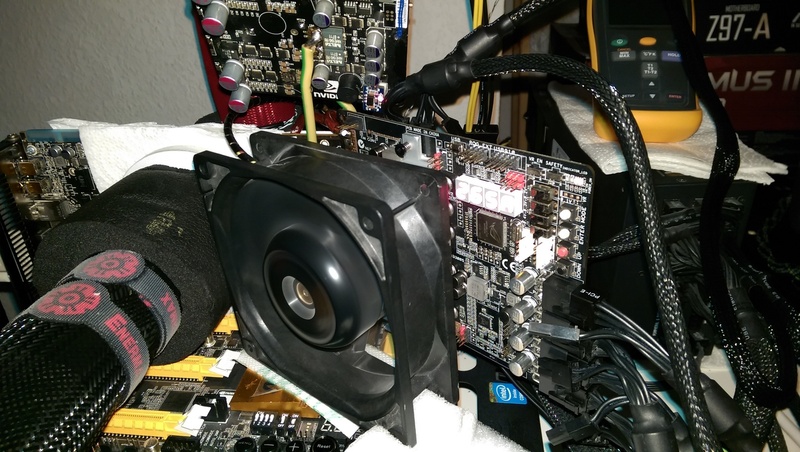 to power gDDR i used 8800gtx vrm ..make by me dual output power card ( 4x2 phase) , no asus power card mini here..
has anyone used there oc panel with the power card yet, working on modding a 980. Wanted oc panel to adjust hotwire. 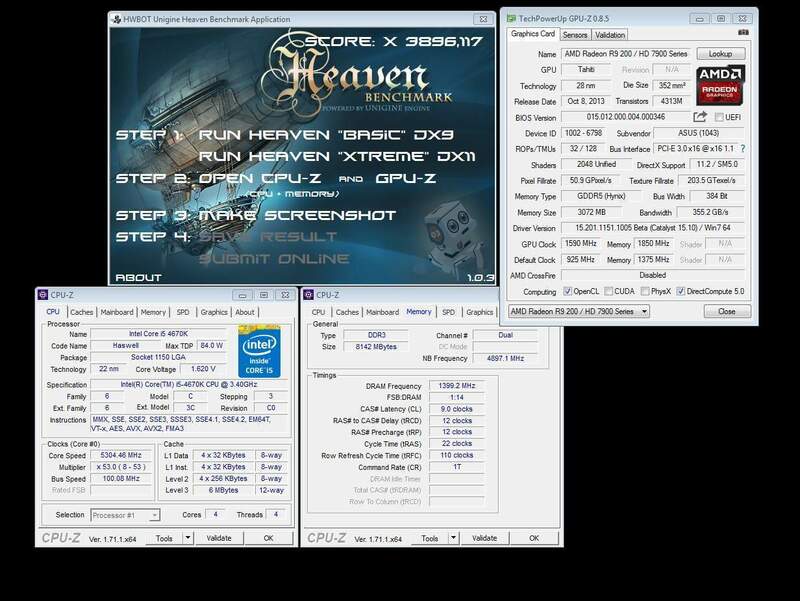 Is there a firmware for oc panel or does it just work? I know you can adjust with on board buttons but was thinking oc panel would be more convenient. 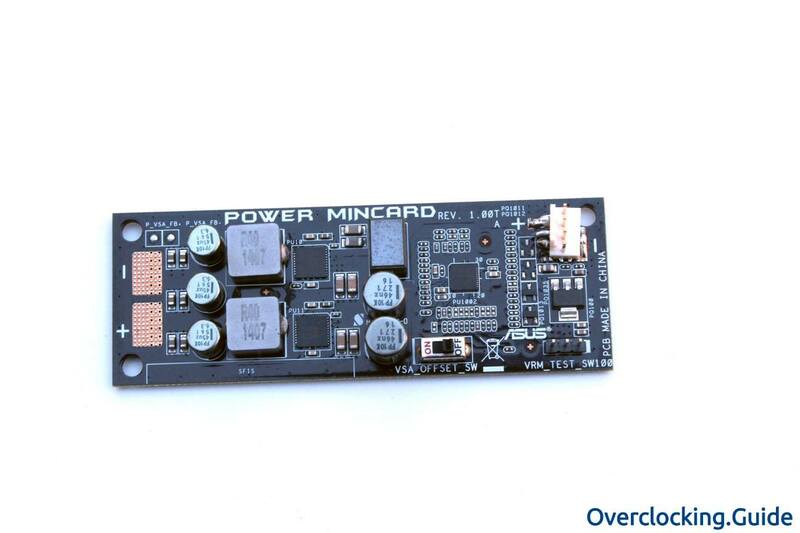 How can i buy this Power Card? Or it can't buy it? it's not available for purchase at the moment, hoping one day. It's an amazing device with a lot of cool features. I saw they made a huge one also, would be cool to see that in person.